It's been a quiet off-season for the Blue Jays thus far. The biggest news to this point is yesterday's announcement that Dioner Navarro will be coming in to replace JP Arencibia as the Jays' starting catcher. The move is perhaps not a surprise. Arencibia's batting regressed last year, striking out 148 times in 497 at-bats, putting up an ugly .194/.227/.365 line. He was only able to pull himself up to a replacement-level 0.1 WAR thanks to good defensive numbers. He's about to turn 28, and we can no longer assume that he'll sort it out and get better. In fact, the league may have sorted him out. He's now likely to land somewhere as a backup catcher and occasional pinch-hitter. Navarro, his replacement, isn't really an improvement, however. Navarro had a nice 2013, hitting .300 with 13 homers over 240 at-bats, but that's a serious outlier compared to his career line (.251/.313/.371). His defensive numbers don't help him. For the most part, he's the same slightly-better-than-replacement catcher that Arencibia is. 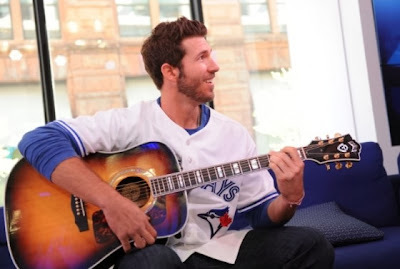 He's 29, so, like Arencibia, we know who he is by now. There's not likely any more upside here. So what's the point? If you're going to re-arrange deck chairs, why not stick with the devil you know? Dioner Navarro isn't a bad-looking guy, but he's not going to draw a crowd in the same way. The Blue Jays saw a big upswing in attendance last year, and a lot of that was driven by young fans up in the 500 level - and of those, a large portion were female. Female fans are smart, and they know baseball. They want the team to win, and they know that JP's strikeouts hurt the team. But they also like to be entertained, and JP does that. When he does add offensive value, it's through home runs - and all fans love those. Dioner Navarro will put together a few more singles and some walks, but he's not going to create excitement. I daresay he's not going to sell a lot of jerseys, either. JP puts butts in the seats. He was part of the youthful energy that made the Jays a big draw in 2013, and he became a face of the franchise. For female fans who bought "ARENCIBIA 9" t-shirts, he was a key part of forming that bond between fan and team that keeps people coming back. Any way you slice it, he may not have added much on the field but he did earn a profit for the franchise. The money that you earn on Arencibia can then be spent elsewhere on the roster, upgrading the starting rotation or the second base position. If the best you can do is a sideways step to a similarly mediocre catcher, why not stick with the guy that fans love?